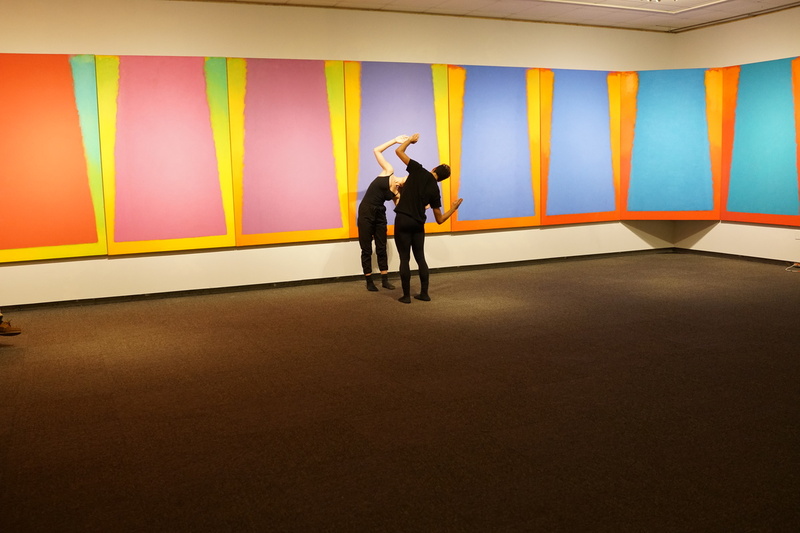 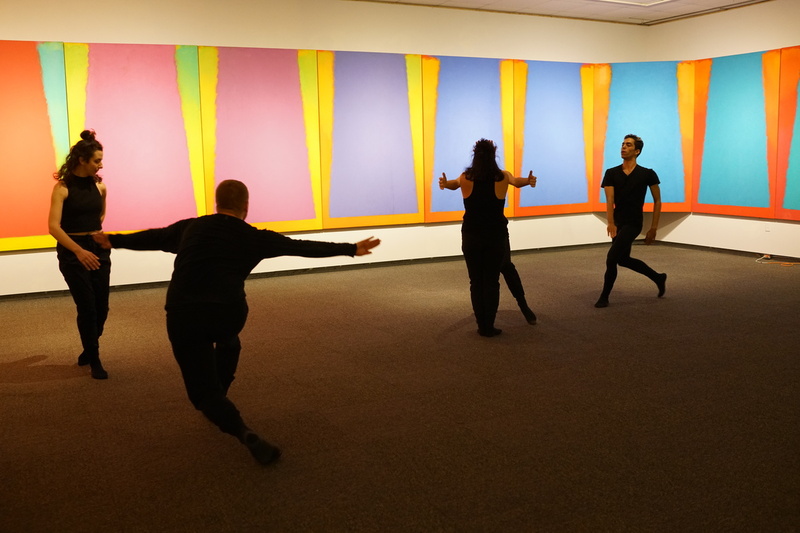 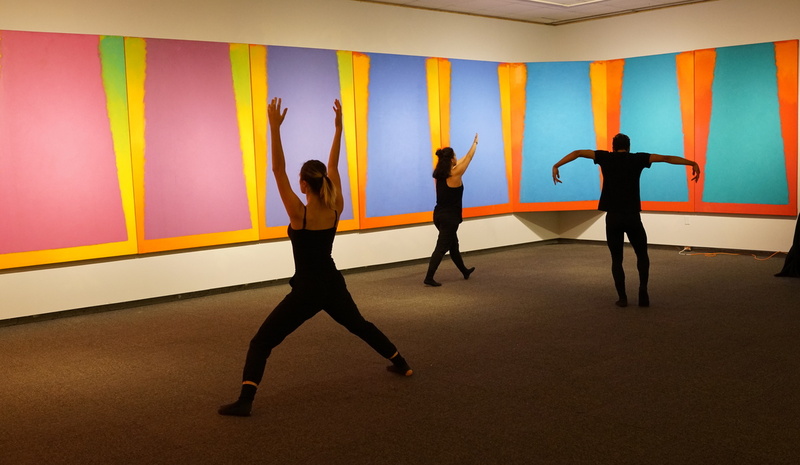 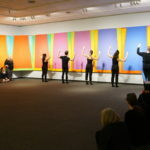 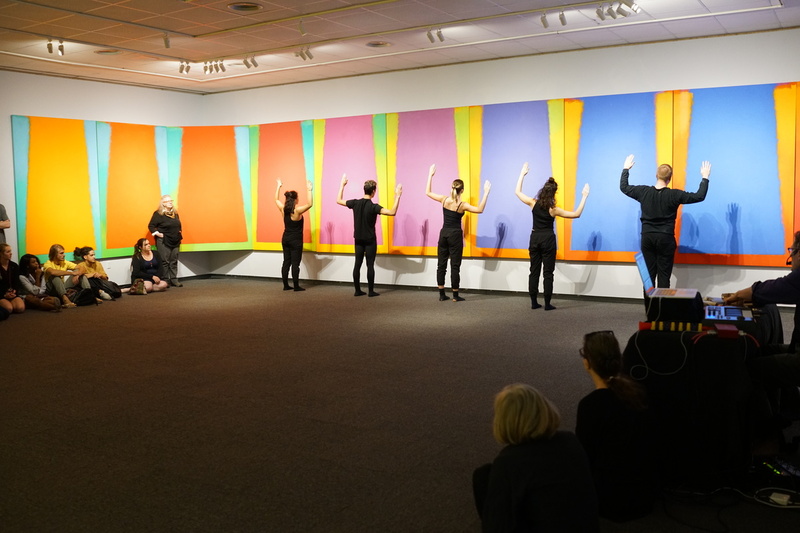 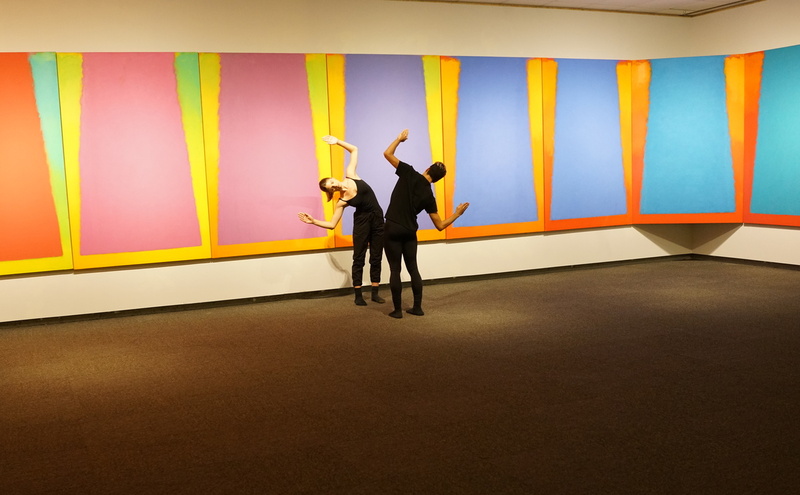 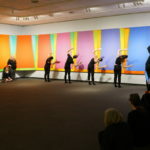 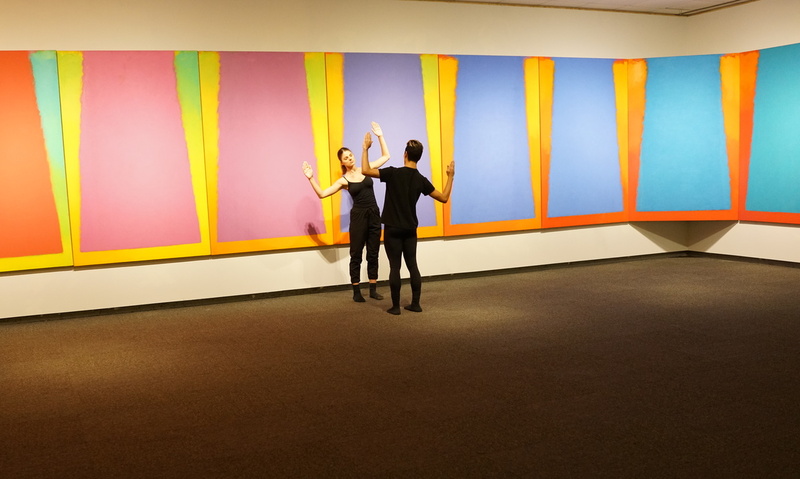 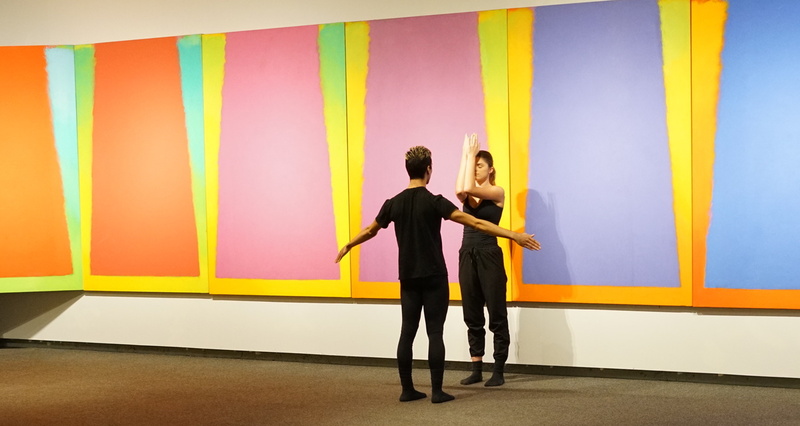 The latest and last movement of Rodger Belman’s work was performed at the Museum on October 20, a performance that was his vision in relationship to Trevor Bell’s painting Southern Light, which is a chromatic installation of 125 feet of brilliant color. 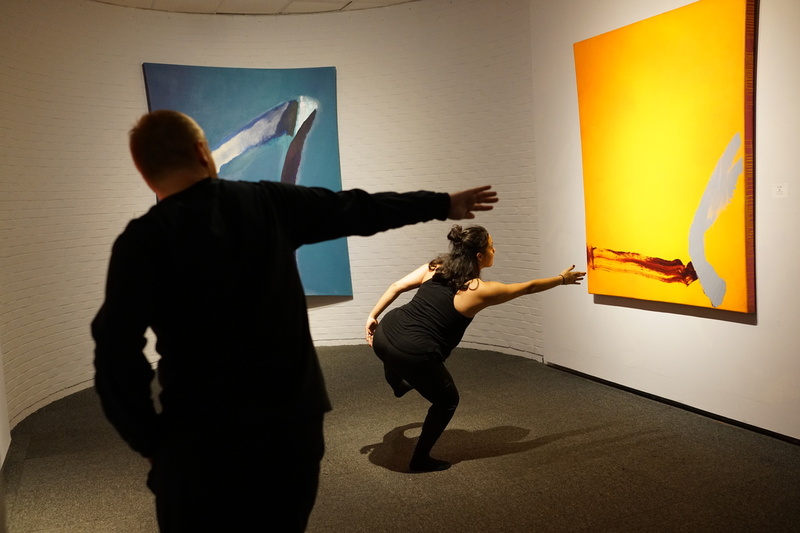 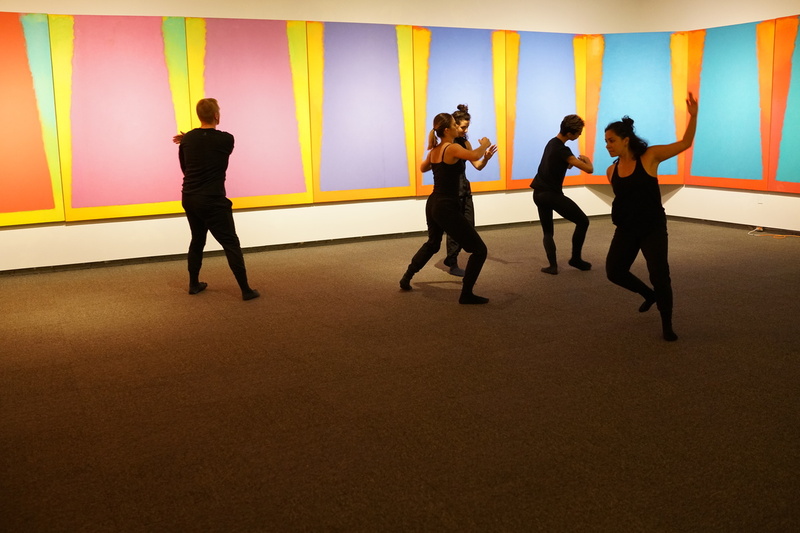 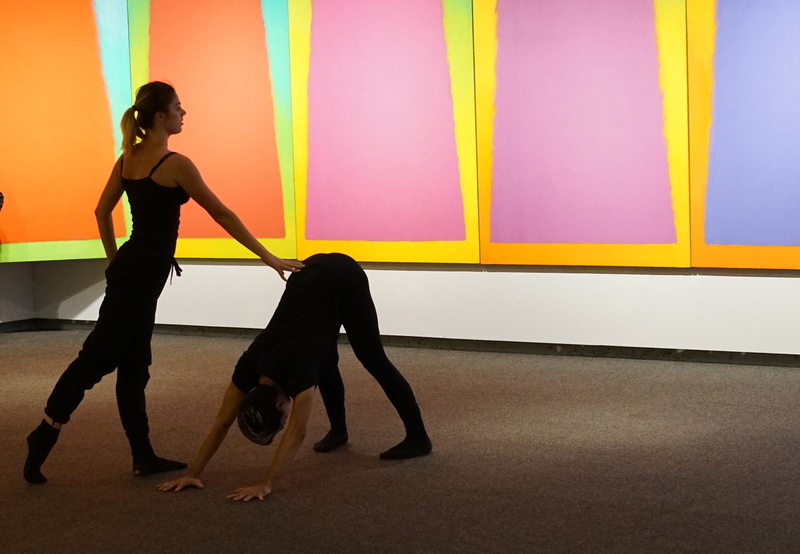 Dancers led by Gianna Mercandetti also performed before Bell’s “Stills” series of tonal gradients and other works from his gestural canvases evoking wind and landscapes of India, Cornwall, and the night launches at Cape Canaveral, Florida. 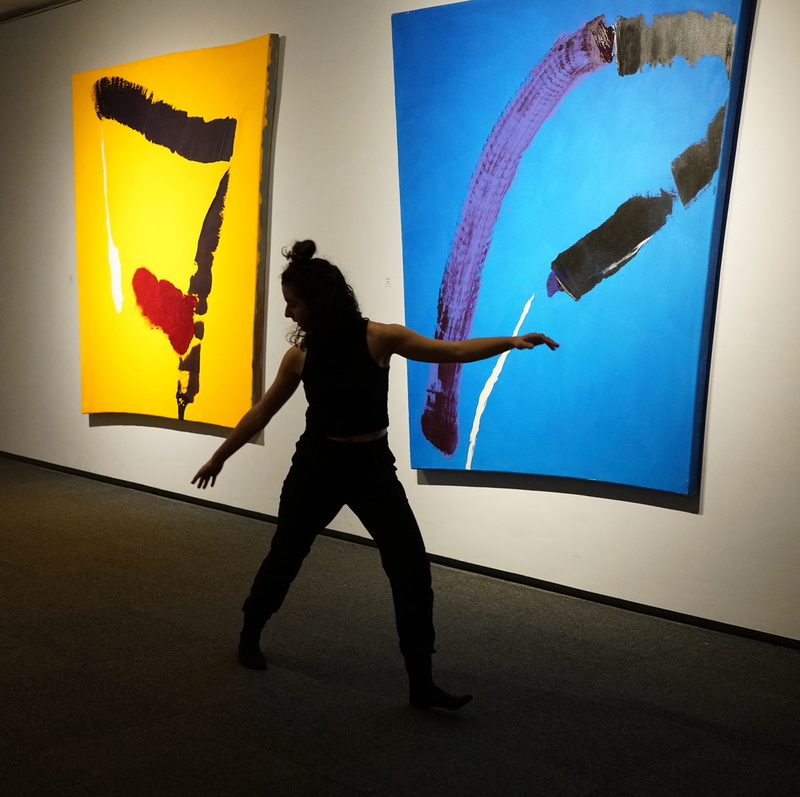 In 2015 Rodger and Trevor met on the coast of Cornwall in St Ives, a rare convergence of the artists this exhibition now celebrates. 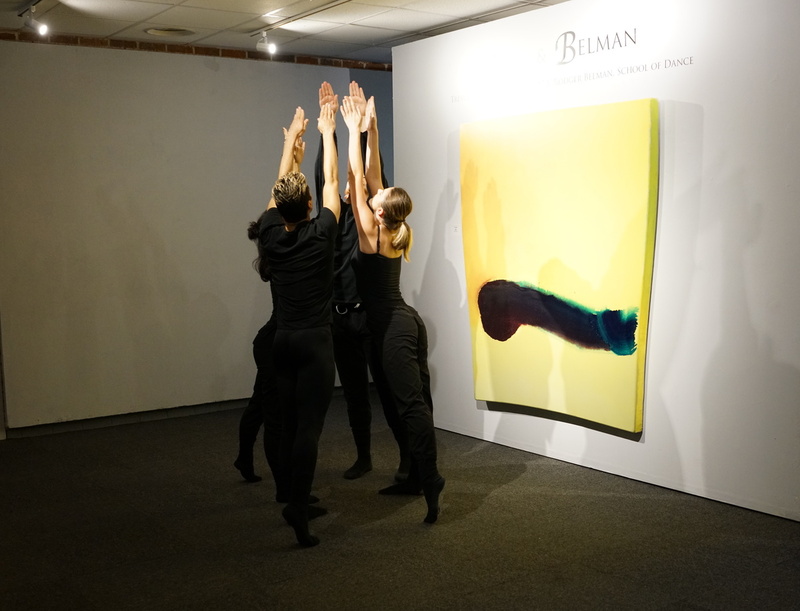 Dancers of Rodger Belman’s “Time & Tides” are Ryan McMullen, Gianna Mercandetti, Maximo Oliveira, Sydney Parker and Stephanie Rivas. 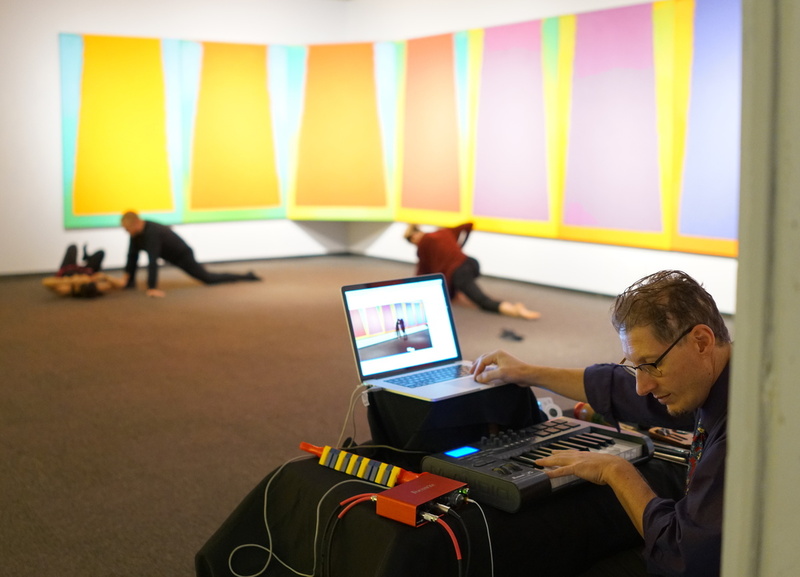 Live accompaniment was provided by Andy Hasenpflug. 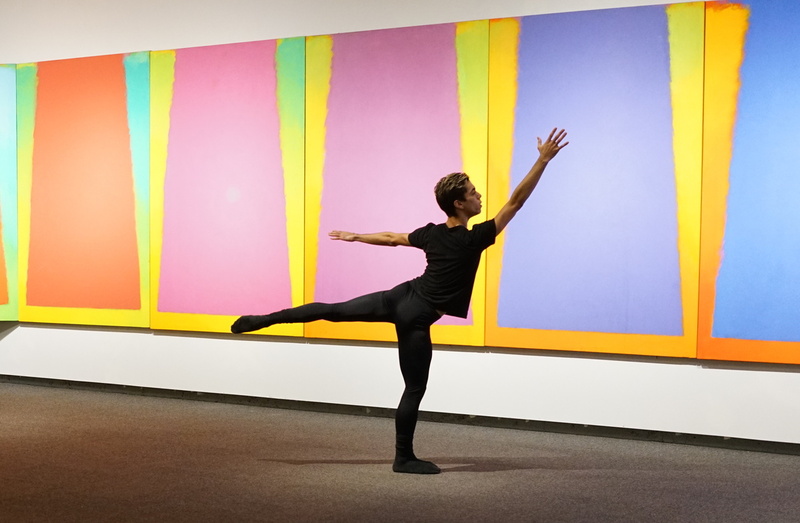 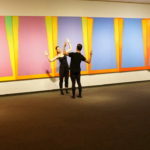 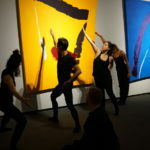 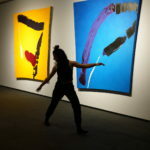 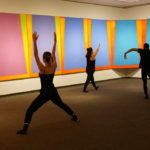 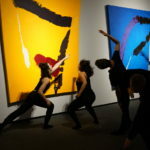 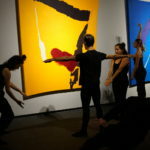 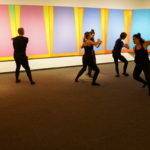 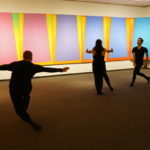 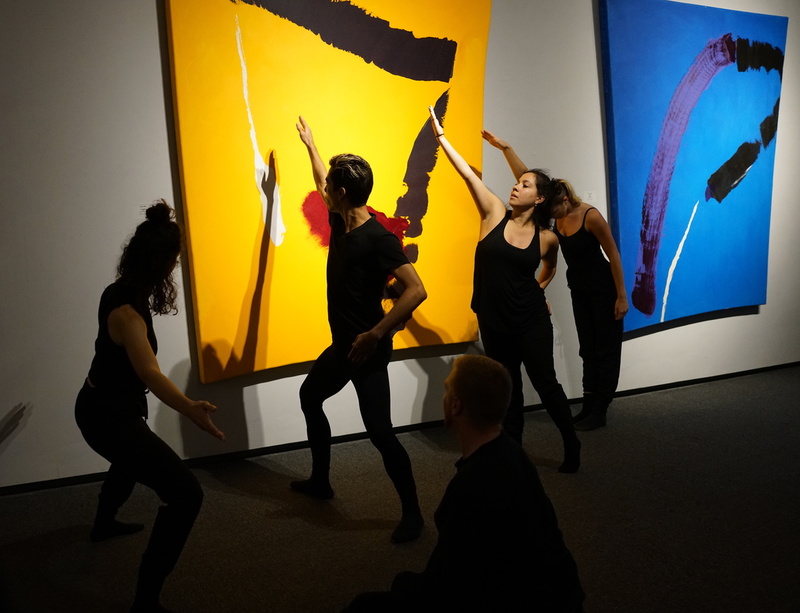 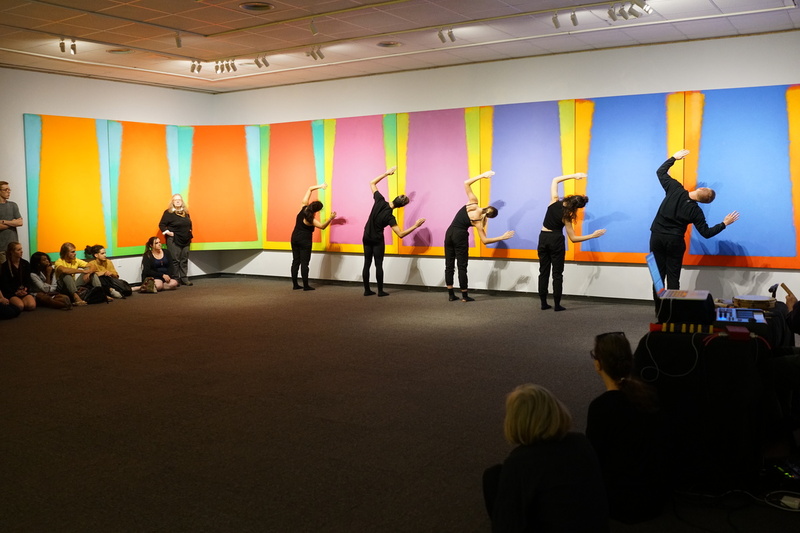 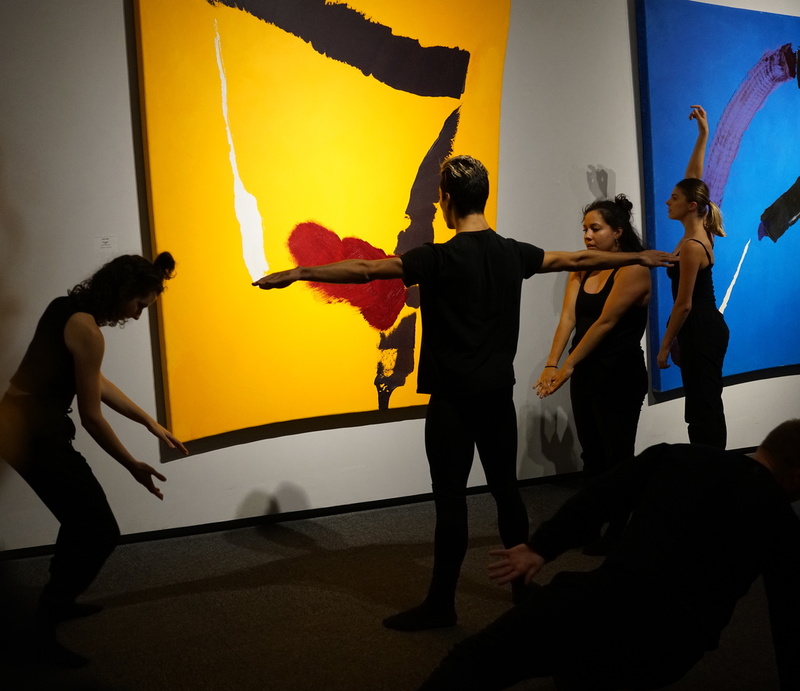 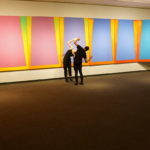 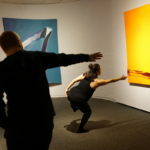 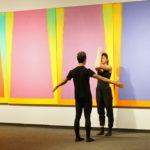 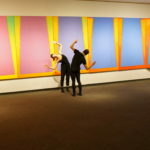 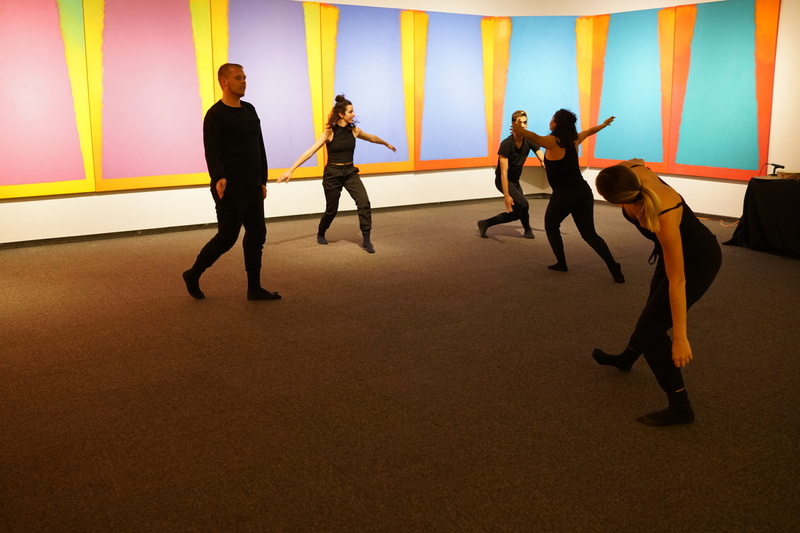 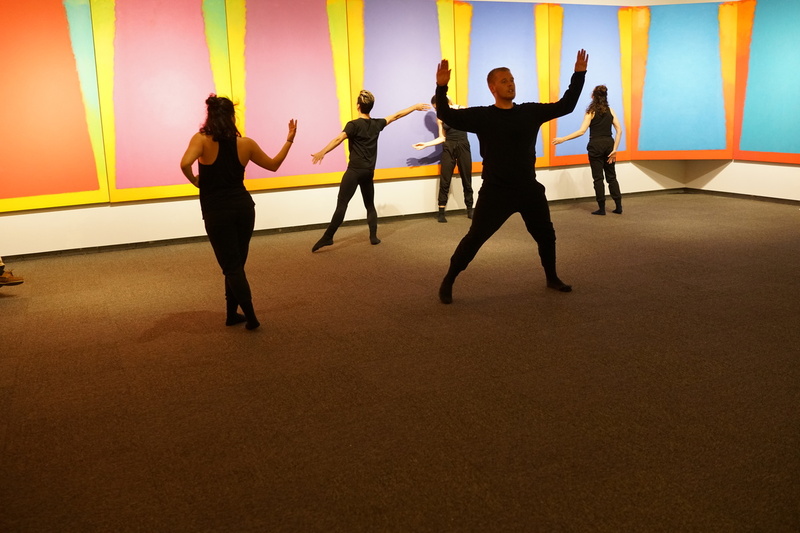 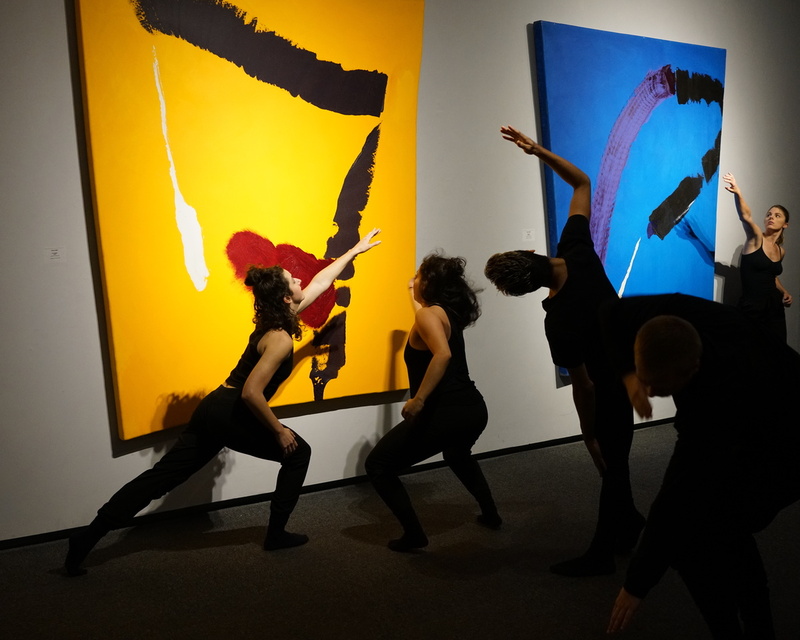 The School of Dance honored his legacy by dedicating the performance “in celebration of the life of Rodger Belman and the connections and relationships he nurtured with Trevor Bell, the dancers, the movement, and the paintings.” Photos of the performance can be viewed below.